I am deeply saddened by the passing of His Majesty King Bhumibol Adulyadej. He was an enduring symbol of national unity during a period of profound and rapid political, economic and social change in Thailand. I express my condolences to the Royal family and to the people of Thailand. I join them in their sorrow at the passing of their beloved monarch who throughout his long reign displayed great compassion and empathy for all the people of his Kingdom. His Majesty made an immense and enduring contribution to the well-being of his nation which will be long remembered and cherished. 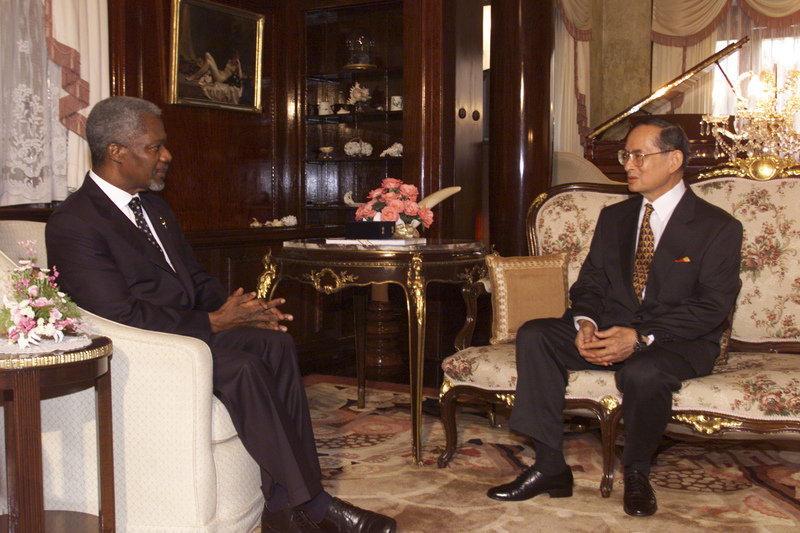 I was proud to have presented to him the United Nations Human Development prize, which reflected his outstanding commitment to the Thai people.